The most trusted group in real estate “ Shubhkamna Group” has launched a new project called “Shubhkamna Group”. Shubhkamna group has a legacy of delivering excellent projects. They are topmost builders involved in real estate in Delhi Ncr. Property in Delhi Ncr has always been favourite of the investors and customers. It has created all architectural masterpieces. The famous projects are Shubhkamna Apartments and Kartik Kunj in Noida and Vigyan Vihar in Gurgaon. Customer satisfaction is always there with Shubhkamna Advert Group. Shubhkamna Epic is located in beautiful location of Greater Noida West. It offers 2/3/4 BHK apartments. Connectivity with the whole Delhi Ncr is there. This project is defining living standards at affordable price. There are wide roads, pleasurable environment, clean and green surroundings. It is near to best industrial companies and educational institutions. Apartments are built with modern architecture. World class exteriors and interiors are there. water fountain and much more. 2 BHK – 895 Sq.Ft. 2 BHK + Study – 1150 Sq.Ft. 3 BHK – 1330 Sq.Ft. 3 BHK – 1500 sq. 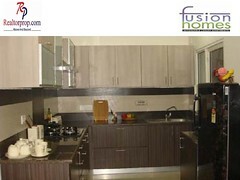 ft.
3 BHK + Servant – 1795 sq. ft.
4 BHK – 2252 sq. ft.
4 BHK – 2300 sq. ft. It has various payment plans and a plus point of this project is that all apartments are under at a reasonable price. It is one of the major and exclusive projects of RealtorProp group, RealtorProp is the best way to deal with real estate property in Delhi Ncr. You can buy and sell property with them , they are also involved in commercial property in Delhi Ncr. The project in which RealtorProp are involved gives assured returns for investors and best homes for customers. There are best deals, which you can get with RealtorProp. The booking of all projects under them gets heavy demand.